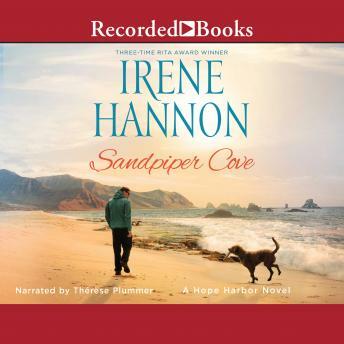 Listen to "Sandpiper Cove" on your iOS and Android device. Hope Harbor police chief Lexie Graham has zero time for romance--but the handsome ex-con she enlists to help her with a wayward teen may convince her to make time for love. Hope Harbor police chief Lexie Graham has plenty on her plate raising her son alone and dealing with a sudden rash of petty theft and vandalism in her coastal Oregon hometown. As a result, she has zero time for extracurricular activities--including romance. Ex-con Adam Stone isn't looking for love either--but how ironic is it that the first woman to catch his eye is a police chief? Yet wishing for things that can never be is foolish. Nevertheless, when Lexie enlists Adam's help to keep a young man from falling into a life of crime, sparks begin to fly. And as they work together, it soon becomes apparent that God may have a different--and better--future planned for them than either could imagine. Lauded by Library Journal as "a master at character development," Irene Hannon welcomes readers back to this charming Oregon seaside village where hearts heal--and love blooms.